For the fourth year in a row, the Riviera Maya Film Festival is bringing glamour to this tropical paradise. Today starts the Puerto Morelos leg of the Festival. The Riviera Maya Film Festival brings National and International films along with glamour stars promoting their films. The Riviera Maya Film Festival attracts big Hollywood celebrities…Ethan Hawke, Patricia Arquette, and Christian Slater just to name a few of the past attendees. This year the Riviera Maya Film Festival honored Aaron Paul. Celebrities love to vacation in the Riviera Maya (gorgeous beaches and beautiful weather, who wouldn’t) but also many stars call it their home owning palatial beachfront properties up and down the coast. You too can live like a movie star in these luxury properties in Puerto Morelos, a quaint town of nestled in between the bustling city of Cancun and the cosmopolitan town of Playa del Carmen. Beautiful beachfront, fully furnished, four bedrooms home. This luxury home has a French design with Romanesque architecture using columns, arches, natural stone, wood and tile work throughout the property. The 4,036 square foot home has big open spaces with an open floor plan kitchen, dining room and living room. The backyard, just steps from the ocean features a swimming pool, tropical vegetation and privacy in a Caribbean oasis. Imagine yourself waking up in this beautiful real estate property, with the Caribbean Sea at your back door. Plata Irene is a beautiful newly built, 2314 square foot beachfront home. 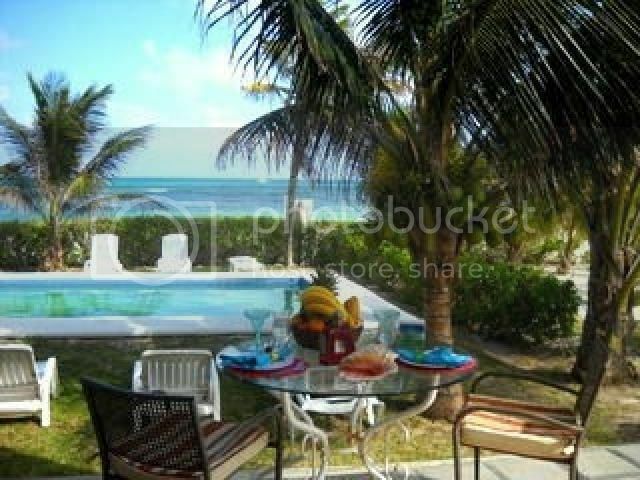 The property has 3 bedrooms, 2 and a half bathrooms and come furnished with a Mexican Caribbean decor. This luxury beachfront property features large window and a spacious, open floor plan. The home has several balconies and a private rooftop sundeck that overlooks the sea. At Playa Irene you can swim in the ocean or lounge around your own ocean side pool and relax on the patio. This luxury property is secluded and very relaxing. 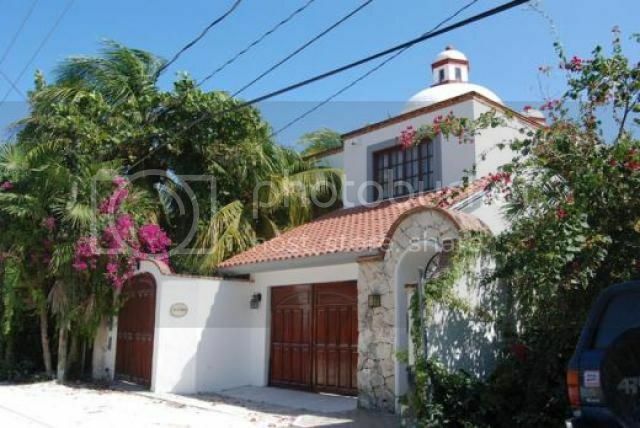 Villa Encantamar is located in the very quiet and private, north beach zone of Puerto Morelos. This over 3000 square foot home has Mexican touches throughout and three large bedroom suites all with gorgeous ocean views. 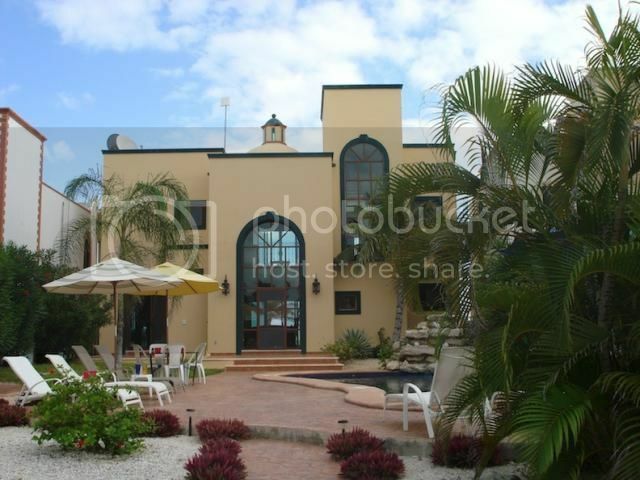 This luxury home has a beautiful pool and garden area with direct access to the Caribbean Sea. The porch and balcony are perfect for watching the sunrise over the ocean and the third floor features a large terrace where you can relax and watch the sunset over the mangroves. Villa Encantamar has been a successful rental property hosting several weddings. Beautiful movie stars, gorgeous beaches and terrific weather… who wouldn’t want to live here! Now if you have any questions about any of the Top Mexico Real Estate properties we have listed in Puerto Morelos, please feel free to contact any of our Top Buyers’ Representatives and we will be glad to help you find your very own piece of paradise.